Why is the Traverse so sought after by Honeoye Falls SUV drivers? The Chevrolet Traverse is a mid-size SUV with a well-designed interior. With seats for 8 and 98.2 cu. ft. of cargo space, it has plenty of room for you and your family. Innovative safety features like Rear Park Assist and Lane Departure Warning will help prevent collisions. With all these features, 5,000 lbs. available towing capacity and available built-in Wi-Fi make the Traverse a great vehicle for weekend road trips. 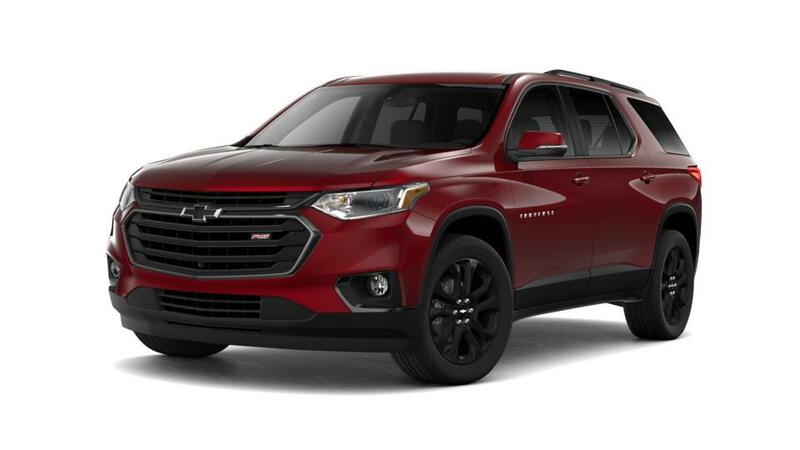 Explore our inventory of new Chevrolet Traverses in Honeoye Falls. For more details on test driving a Traverse, give us a call at (866) 999-1458.